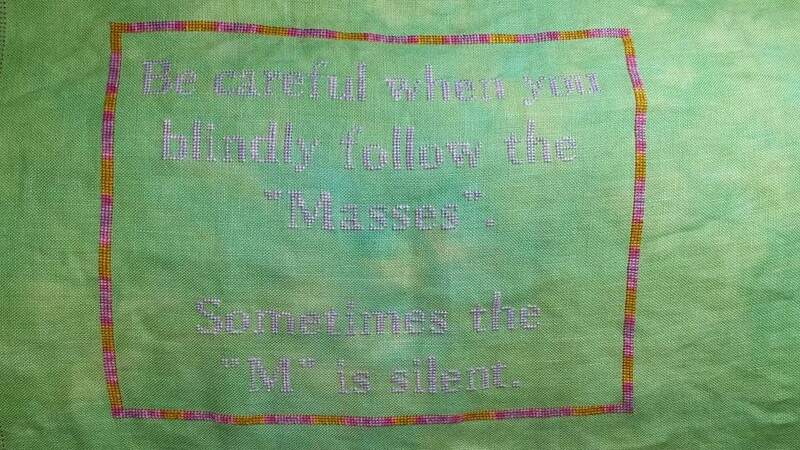 Here is the amazing stitching of Kathy Koontz. 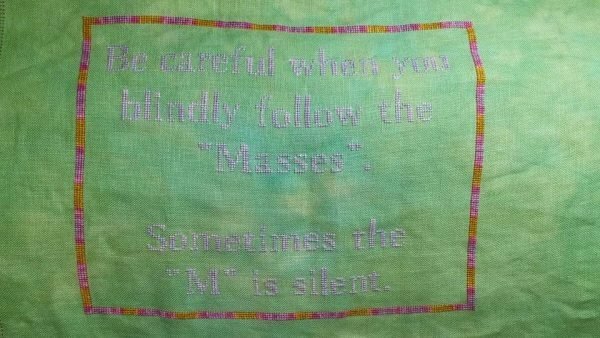 She worked on a quick stitch of the Don’t Follow the Masses project. I love the green fabric all the hand dyed fabrics are so beautiful. Here is the chart, if you are interested in this project.